Our face is also subjected to all the processes that change other parts of our body. For example, the skin can start to lose its elasticity and sag, and we may deposit fat in the area of our face when gaining weight, which gives us a chubby face. 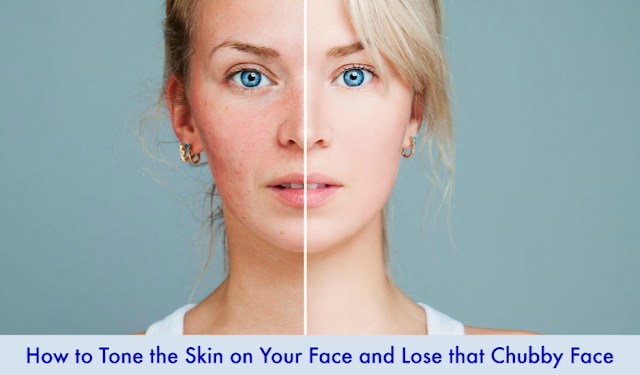 This can be a rather frustrating aspect, but just as you take care of your body, when looking to lose weight, you should take better care of your face as well. Many people overlook this aspect and wonder why they still have a chubby face in spite of the fact that they lost quite a few pounds. Well, taking care of your face doesn’t mean just to clean and moisturize it. It also means to strengthen the muscles that are in the area as well. You see, if your facial muscles are stronger, the skin on your face will be tighter as well. So, there are quite a few things to consider when wishing to improve the appearance of your entire body. In case you are looking to improve the aspect of your face as well, besides the aspect of your body through workout sessions, it is time to find out that there are special exercises that are designed to get your face in shape. Here are several proven face exercises that will help you do so with minimum effort. • Allow your lower jaw to drop loosely, then push it outwards, as much as you can. You should feel the muscles of your lower jaw stretch as you do so. Push the jaw until you feel a slight tension in the area of your ears, which means that you reached the furthest point. Maintain the position for 10 seconds and then bring your jaw back. You will have to repeat this exercise 10 times. • Do your best to stretch your neck as much as it is possible, and then purse your lips together like getting ready for a kiss. Allow your mouth to open until your lips form an O, just to slowly close the mouth again, with your lips pressed together as mentioned earlier. Remember not to move the position of your head while performing this exercise. Repeat this exercise for 5 times and, each time, hold the position for 10 seconds. Besides these exercises, make sure to drink plenty of water and take good care of the skin on your face. This means to clean it appropriately at the end of each day, to nourish it with adequate products for your skin type, and to wear sunscreen on a sunny day.